Have you ever sung in a choir? Is it something you have considered but never got round to doing anything about it? Surveys now show that over 2 million people sing regularly in over 40,000 choirs in the UK. Why not join them? Singing in a choir is something incredibly intimate, a sound that begins inside you, then sharing with a roomful of people it develops into something even more exhilarating as a harmony. Tuesday Singers repertoire of music is varied and covers most tastes as you can see from the previous concert programmes listed below. . Joining Tuesday Singers is great way to learn a wide range of music under the expert guidance of musical professionals with a wide range of experience, as you can read here. New members do not have to read music, although it does help, you only need to love singing and having some fun. You are welcome to join us for a few weeks while you decide if you enjoy our repertoire. 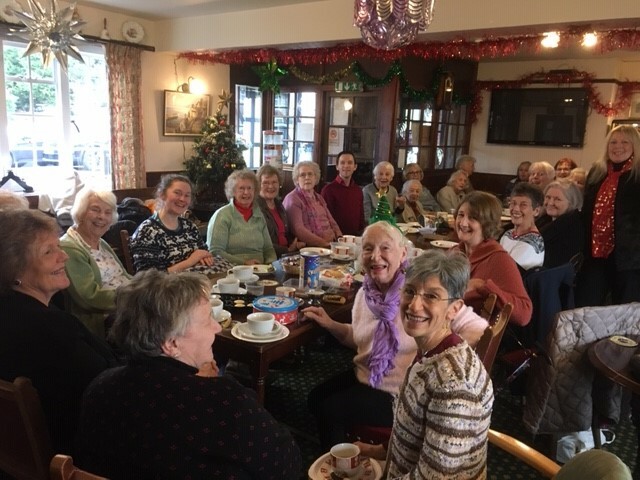 As a light relief, a variety of social events are organised during the year including coffee mornings and the occasional lunch get together meeting at either a member's house or a local hostelry. 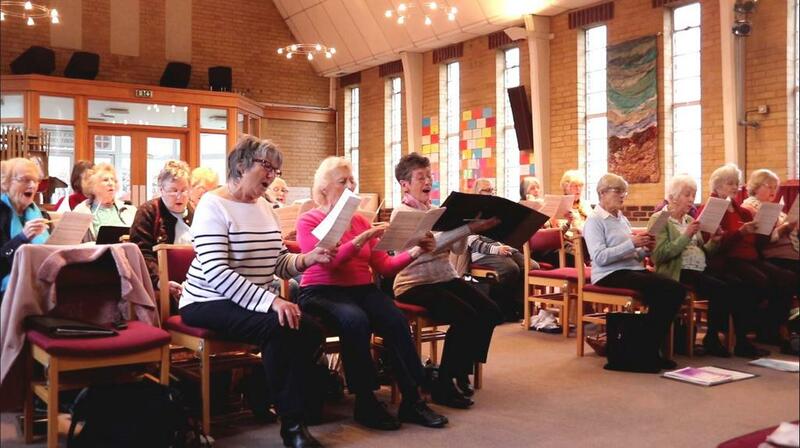 Singing in a choir has been shown to have many mental, social and physical benefits. It is fun activity with like-minded people that is a great stress-revealer leaving you uplifted and stimulated while working together to create an amazing sound. NEW FRIENDSHIPS - an opportunity to make new friends with people who share an interest. REDUCE STRESS - when you sing your body produces feel-good hormones reducing stress and leaving you uplifted and energised. IMPROVE ENERGY LEVELS - Singing gives gives both your heart and lungs a workout and increases the amount of oxygen in the blood. LOOK GOOD - singing improves posture, tones your tummy and exercises facial muscles. 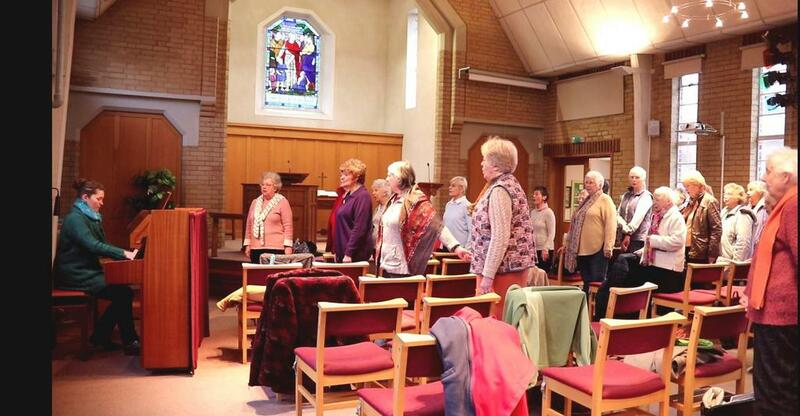 CONFIDENCE - joining a choir is a fantastic way to learn new skills, improve self-esteem, build confidence and improve mental alertness, concentration and memory. Tuesday Singers meet throughout the year with short breaks of two weeks in the Summer and at Christmas. The annual membership fee is �200 per year payable in quarterly installments of �50, just slightly more than �4 per session. This is used to fund the various costs including use of the hall for rehearsals, the conductor and accompanist and the provision of sheet music. The members buy a uniform blouse that is worn for performances with either smart black trousers or a long black skirt. Skirts are available for hire for a one-off charge. Tuesday Singers do not receive any grants or funding from any source other than from the fee charged for performances and membership fees. The various social events are funded by members' contribution. The accounts of the choir are independently audited and can be viewed if requested. You can contact the committee through our contact page. Henley Road, Maidenhead SL6 6QW.